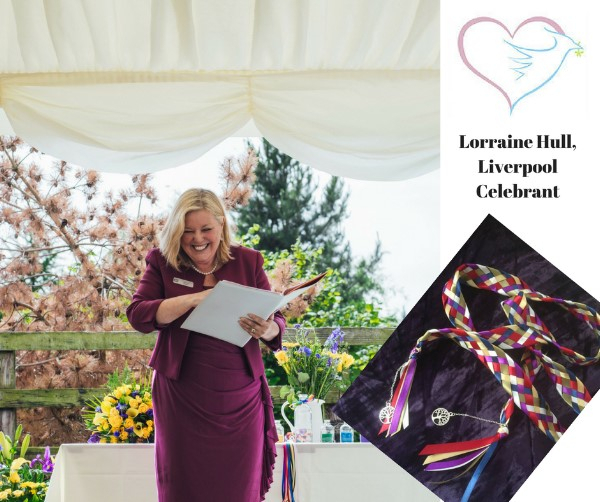 This month our Wedding Supplier in the spotlight is the lovely Lorraine Hull, Liverpool Celebrant who can conduct a unique wedding ceremony to make your dream wedding come true! With an Independent Celebrant there are no restrictions on where your wedding takes place, or what you do and say! Your wedding can take place inside or out, on land, sand, or water - or even in the air if you fancy hiring a plane. Lorraine is a member of the Association of Independent Celebrants. She lives in Liverpool and is happy to conduct ceremonies anywhere in the North-West and North Wales, but would be more than happy to travel anywhere within the U.K. or abroad for you. 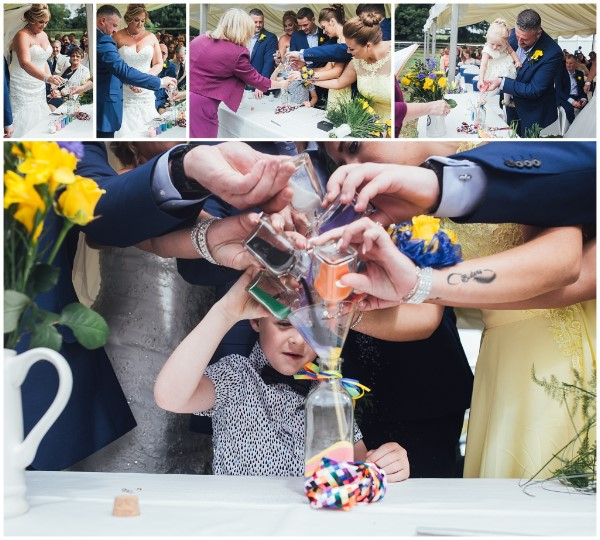 Recently, Wedding ceremonies in tipis, marquees, on private land, farms, and at home, have risen in popularity and Lorraine will work with you to create your perfect ceremony to match your venue. Lorraine also creates sand blending sets and makes bespoke handfasting cords that can be used in any wedding. Which are a lovely addition to any ceremony.